Special requirements: He has used the crushers from for one year, but the capacity and performance can not achieve his expectations. So he intends to expand the capacity to 350tph. But the inherent layout shouldn`t be changed. 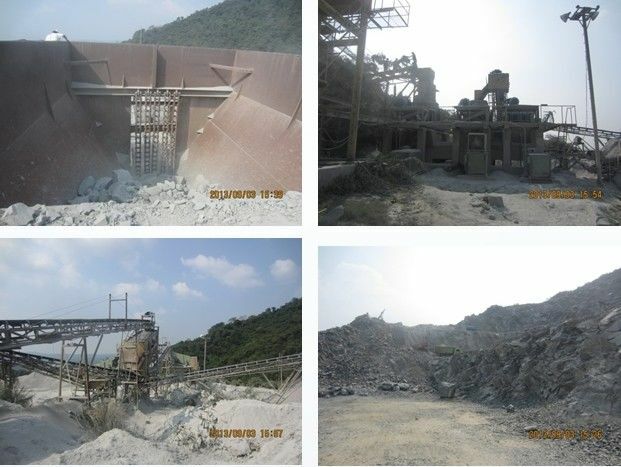 ①Two cone crusher have been used to extend the capacity. 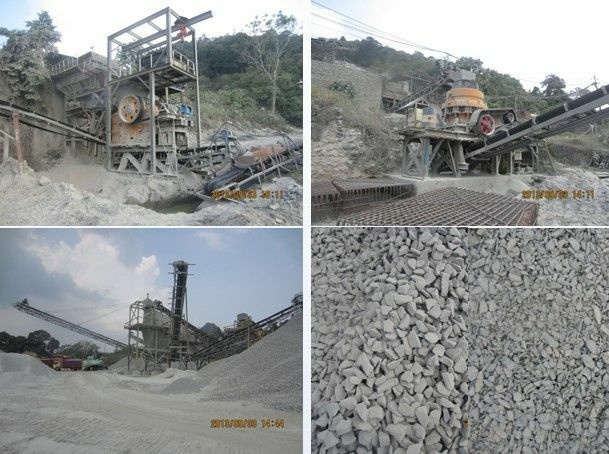 The previous cone crusher As the PYB1750 can`t achieve its capacity as we expected. So our cone crusher S66 has replaced his position to be the secondary crusher. The HPC220 and PYB1750 should be the tertiary crusher. 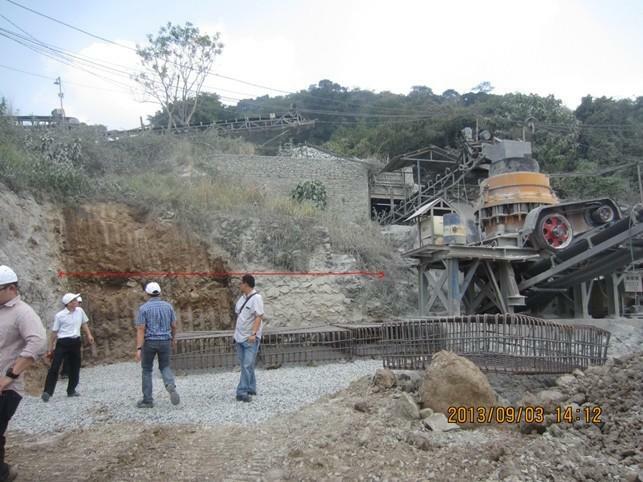 ②Because of the limited land, the location of the motor, the oil tank, the belt conveyor must be measured accurately. The photo shows that our engineer is confirming the dimensions of the land. ③Based on the previous steel structure, the width and length of the belt should be measured accurately. ④The distributor should be designed to meet the previous screen height. The second crushing line is in design at this moment. ①This crushing line has already broken. It is the Japanese machine who is already collapsed. Although it is still working, it can only achieve 100tph which is designed 250tph as the one of the cone crusher can`t work anymore. ②Now it is in design. When the first line runs, this project will start. ①Before signing the contract, our sales always live there about 3-4 days. Our engineer has come to their site twice from China. ②Zenith supply the technical team for installation and commission for free. Now our engineers are living in their site to help them install the machine and commission.